As usual, the Brooklyn Farmacy & Soda Fountain comes through with their own special heart-shaped valentine cookie that’s rich, crunchy and not at all too sweet, as well as fudge bars, blood orange truffles and adorably soft, sweet & cute, handmade Sweater Toys (made out of recycled sweaters – ours is named “Pierre”!) just in time for February 14th and, not surprisingly, just so perfect – happy, happy! 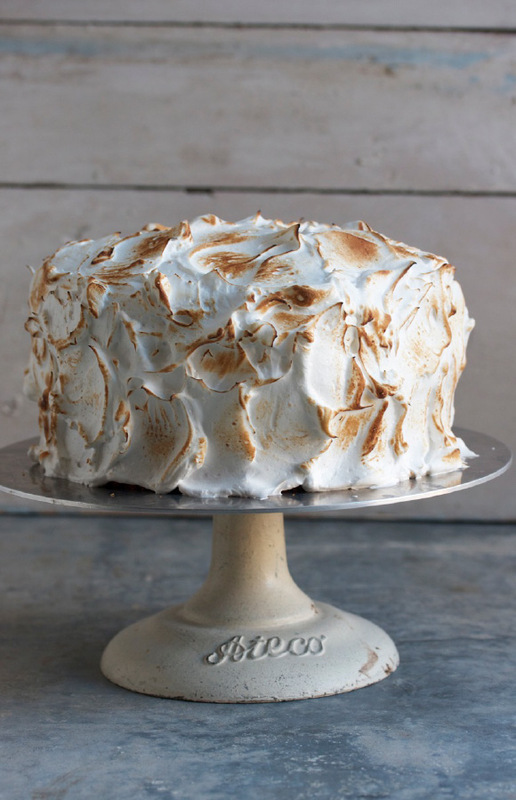 The toasted meringue frosted cake got us thinking about swell childhood sweet treats. And the pillow-y pile of left-over meringue we had in our mixer gave us yet another idea from childhood, only slightly improved upon – fluffernutters with real, fresh marshmallow meringue and crunchy organic peanut butter – yum! This salty/sweet concoction still pleases grown-ups and kids alike, especially with the crusts cut off, thank you very much. The much appreciated holiday gift of our very own blowtorch came in quite handy this week when mountains of meringue were whipped up in the Kitchen Aid to frost an impromptu layer cake. Seven-minute frosting is always fun, but with the addition of actual fire, the toasted marshmallow waves and ripples created with the blowtorch conjure up so many wonderful dessert memories – from s’mores around the campfire to that amazing childhood fancy restaurant treat – baked Alaska! So fun to make and pretty freakin’ cool to serve – we recommend toasting meringue the next time cake baking is on the agenda. photos: Ray Milland portrayed an alcoholic in a downward spiral in Billy Wilder’s The Lost Weekend (1945) – Wilder (behind the camera) was one of the first filmmakers to return to New York after the war. Martin Scorsese prepares a scene for Taxi Driver (1976) with Robert De Niro at Columbus Circle. Co-directors Stanley Donnen and Gene Kelleywork on a routine for On the Town (1949) as Frank Sinatra waits. Director Joseph Sargent shot The Taking of Pelham One Two Three (1974) on a subway car rented from the Transit Authority. Woody Allen used actual Coney Island locations in Annie Hall (1977) for the childhood flashbacks of his alter ego Alvy Singer, who grew up under the roller coaster. Francis Ford Coppola (in striped coat) redressed East Sixth Street near Avenue A to look like it did in 1917 for The Godfather, Part II (1974). Elaine May shot her fist feature, A new Leaf (1971), in Manhattan and Queens. John Schlesinger (seated) directing Jon Voight and Dustin Hoffman in Midnight Cowboy (1969). The quintessential New York director, Sidney Lumet used 104 locations in every borough except Staten Island to shoot his police corruption film, Serpico (1973). A wonderful pictorial essay in DGA Quarterly full of historical images of some of our favorite directors shooting in our most favorite city! Canal House Cooking Volume N°7 is finally here!! It seems like ages since Canal House Cooking Volume N°6 arrived and we’ve been waiting with bated breath. This time, Christopher and Melissa take us on a home cook’s tour of all their favorite Fall and Holiday foods, Italian style – La Dolce Vita – simple, rustic meals that can be prepared by those of us that don’t have the time, talent or wherewithal to be Julia Child (if it takes more than an hour, we are probably going to order it at a restaurant). The ladies offer a stunning array of recipes and photographs that are both mouth-watering and, as always, incredibly simple and beautiful. We only wish this precious volume would have arrived before the holidays! Four pieces of beautiful, handmade and hand painted primitive, slip pottery – quite old and brand new. Treasured antique (Pennsylvania Dutch or German/Swiss – we really can’t be sure at this point) Beeler family heirloom breakfast plates and a newly hand painted mug and creamer with our most coveted and collected animal’s portrait – the adorable piglet – from the South of France via Le Fanion in the West Village. Such amazing gifts – thank you so much, j&d! It’s been fun to see these ads all finished with hand-rendered typography, running in the likes of Saveur & Bon Appetit. 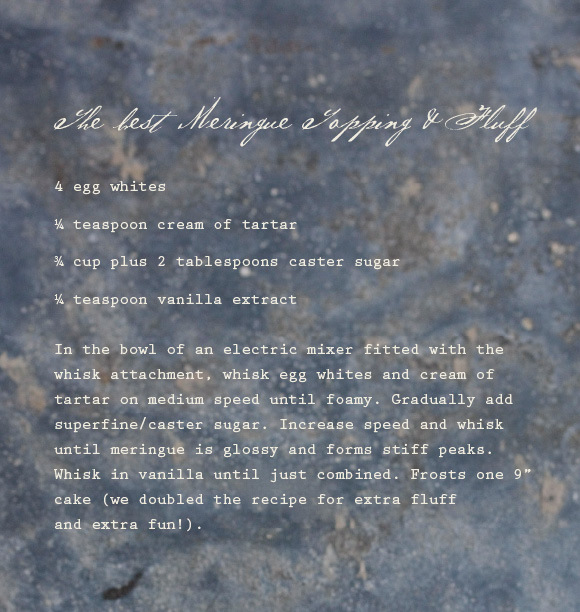 Thank you Maggie and Theo for making these tasty little items so incredibly gorgeous and inventive!